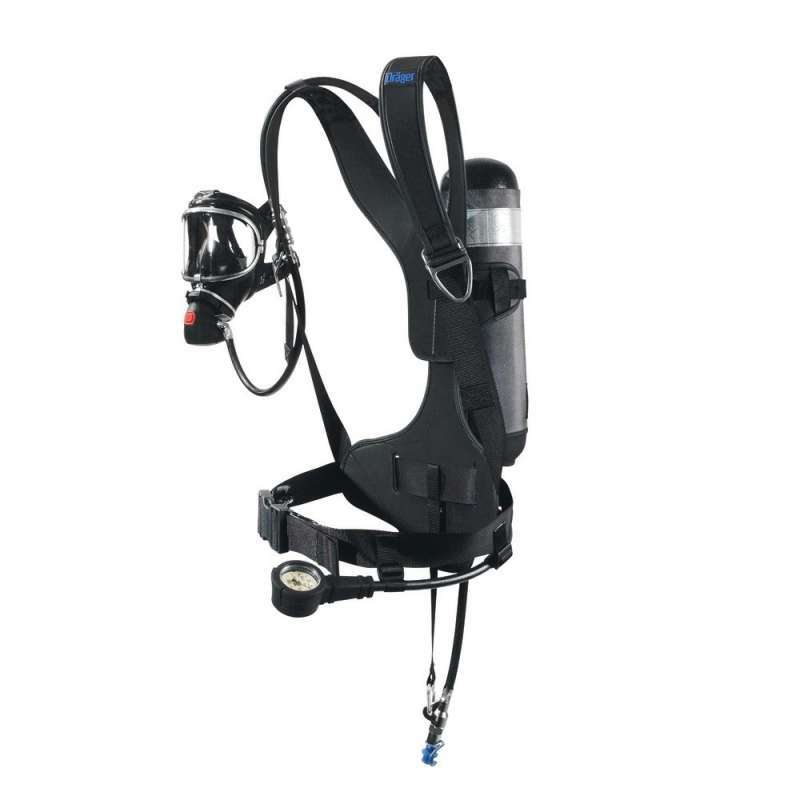 The Draeger PAS Micro is an advanced short duration breathing apparatus that is self contained and designed specifically for emergency escape situations. Similar to traditional breathing apparatus, this unit is back mounted with an ergonomic design that follows the contours of the back to provide enhanced stability and comfort for the wearer. Featuring an integrated hose and pressure reducer that is integral to the backplate to reduce any danger of snagging whilst in use, the harness unit offers a high level of heat and abrasion resistance as well as being impervious to many chemicals. The harness is fully EN 137-1 compliant, being constructed from high quality flexible anti static material and can be machine-washed. The Drager PAS Micro breathing apparatus is ideally suited to short duration entry, airline emergency escape or dual function roles. It is equipped with waist level mounted gauge and high-pressure whistle warning systems allowing the user to regularly check levels and status. These highly reliable units are lightweight and robust in construction and intelligently designed, currently in use around the world in highly demanding and hazardous environments. They are designed for standalone use or in conjunction with the Draeger PAS Airpacks 1 & 2 and are fully EN402 compliant, suitable for airline emergency escape or dual function.